Esta pequeña casa super linda está justo en el marcador de 1 milla de Hamilton. Situado en una colina que domina, Hamilton, Hamilton High School, campo de fútbol, ​​diamantes de béisbol, The Bitterroot Aquatic Center. Está a menos de una milla del aeropuerto Hamilton, The Canyons Athletic Club. Está a unos minutos del campo de golf The Hamilton y del campo de golf Stock Farm. Completamente remodelado en 2017 en el interior. Estamos ofreciendo una tarifa nocturna económica para comenzar. Muy familiar. Un lindo patio para que los niños corran. Un anillo de fuego para asados ​​de malvavisco. La casa incluye muchos juegos divertidos para los niños, incluido un juego de Wii. Cama tamaño King en el dormitorio principal, tamaño Queen en el dormitorio más pequeño. El sofá es una buena cama extra. Pack & Play disponible. La mesa de comedor tiene capacidad para 6 personas. Cocina completamente equipada, lavadora y secadora. Impresionantes vistas de las montañas Bitterroot. A pocos minutos del río Bitterroot y rutas de senderismo. Super house and super people! We needed to get into the house the first night. We had a huge snow. They took call of plowing immediately so we had a house. They are very commutative and helpful. I would stay here anytime! My family and I were attending the Divisional basketball tournament in Hamilton in February. It was perfect for us! We had all the conveniences of home! We were able to eat all of our meals there and didn’t have to fight the crowds at the restaurants. The house is well supplied. We weren’t missing a thing! The owner met us at the house right on time and showed us around. The beds were comfortable.. The website says sleeps 5, but really beds for 4 and the couch for one person, not a hide a bed. It worked fine for us for that many nights. There is only the one bathroom but again we weren’t on a pressing schedule so it worked fine for the 5 of us. I would highly recommend staying here if you are in Hamilton! Lots more to do we just didn’t have time to do it all! The owner is very accommodating and would help to make your trip memorable! 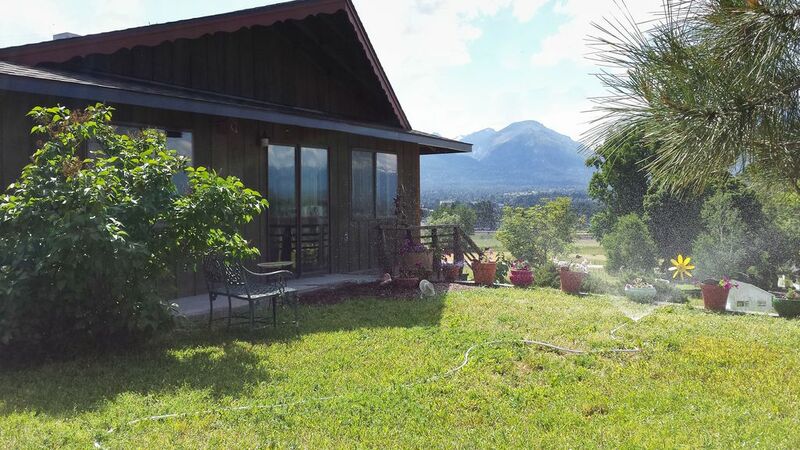 We enjoyed our stay at this very cute two bedroom ranch with great mountain views. were age appropriate. We would definetly stay here again. Amazing stay at Pat & Edel's home! I've booked with Pat and Edel in the past and was so glad that I got to do so again! My co-worker who stayed here loved it and we are most definitely going to keep it in mind when we're back in town. The house was clean, well-furnished, and not too far from town. Edel was also very attentive to our needs and overall a great person to work with. I'd recommend this property to anybody and everybody! Very commodious house with great views. Owners were very solicitous in welcoming us. Highly recommended location and house. Owners were very accessible and helpful in helping us find local sites in surrounding area and facilities for us to enjoy. Beautiful views, very clean, new carpet! Beautiful views, very clean, great experience... Wish I could have spent more time there! Would definitely return!